 A light, moist fruitcake for people who don’t like the dense ones, from King Arthur Flour. No candied citron here, just dried fruits! 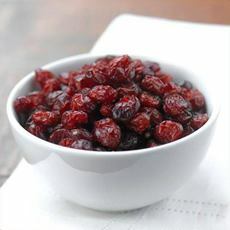 Use dried cranberries instead of cherries for a seasonal touch (photo courtesy Ocean Spray). In Merrie Olde England, where fruitcake began, they didn’t have cranberries. 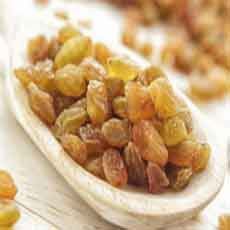 Sultanas, or golden raisins, add more brightness than their dark purple relatives (photo courtesy BT.com). Today is National Cake Day. What cake should you consider? Fruitcake of course! Even though National Fruitcake Day isn’t for another month, on December 27th, why should you wait? We love a good fruitcake. While most people have had bad experiences with commercial fruitcakes, here’s a quick and easy solution from King Arthur Flour that is both light and moist, thanks to sour cream. This tasty fruitcake from King Arthur Flour features a sour cream pound cake base and a filling of dried fruits: cherries, apricots, pineapple and golden raisins. If you don’t like candied fruits, this is the cake for you! Pecans or walnuts complete the picture. For a more colorful cake, add 1 to 1-3/4 cups of red candied cherries to the other fruit. If you’d just like a simple pound cake, omit the fruits altogether and bake it in two pans instead of three. If you’re an aficionado of citron and other candied fruits, feel free to substitute them. 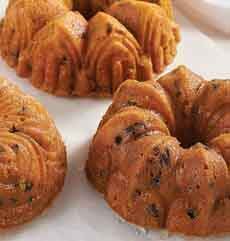 If using a 10-cup (10″) bundt-style pan or several smaller pans, adjust the baking time accordingly. No matter what pan(s) you use, don’t fill them more than three-quarters full, or you’ll be cleaning blackened cake batter off the floor of your oven. If you’re making the cakes well ahead of serving, brush them with brandy or rum before wrapping tightly and storing at room temperature. If desired, sprinkle with glazing sugar or frost with a light glaze before serving. 1. SOAK the fruit: In a medium-sized mixing bowl, stir together the dried fruits and the 1/2 cup brandy or rum. 2. PREHEAT the oven to 325°F. Grease and flour three 8 1/2″ x 4 1/2″ loaf pans. Alternately, line them with parchment, leaving an overhang on each side and securing the paper with metal binder clips. 3. MAKE the cakes: In a large mixing bowl, beat together the shortening, sugar, salt and nutmeg. Add the eggs one at a time, beating until fluffy after each addition. Stir in the brandy or rum. 4. WHISK together the flour and baking powder in a separate bowl. Add half the flour to the shortening mixture, and mix well. Add the sour cream, beating all the time, then add the remaining flour and blend well. Be sure to scrape the sides and bottom of the bowl occasionally to be sure all ingredients are evenly incorporated. 5. STIR in the fruits (they should have absorbed all the liquid; if not, don’t drain them) and the nuts. Spoon the batter into the prepared pans. 6. BAKE the cakes for 55 to 65 minutes, or until they’re golden brown and a cake tester inserted into the center comes out clean. Remove from the oven and let them cool in their pans for 10 minutes. Remove from the pans and cool completely on wire racks. 7. STORE, well-wrapped, for 5 days at room temperature. Freeze for up to 3 months.